Cpanel Email Creator lets you create an email account just by filling a forms without actually login into your Cpanel admin page. 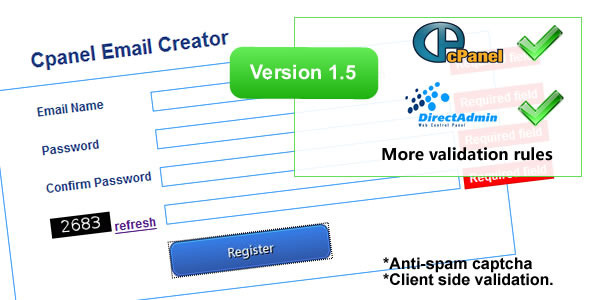 Using Cpanel Email Creator, you can provide free email accounts for your visitors. They will be able to create their own email account without your intervention.